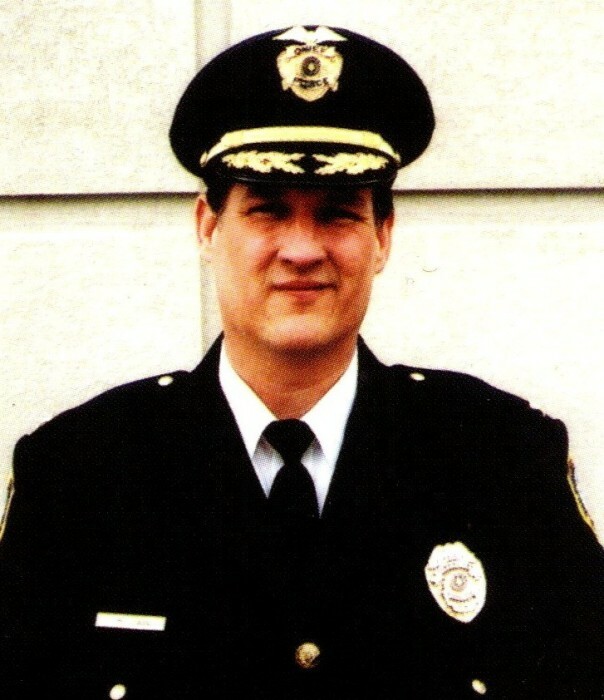 Retired Downingtown Police Chief, James R. McGowan III, 62, passed away suddenly at his residence on Monday, January 14, 2019. He was the beloved husband of Carol S. (Schafer) McGowan. Born in West Chester, Jim was the son of the late James R., Jr. and Dorothy (Jones) McGowan. He was a 1975 graduate of Downingtown West High School and B.A. Degree from West Chester University in 1988. He also was a 2005 graduate of the 220th class of the FBI Academy. With more than 40 years of public service, Jim served in many capacities which included; Downingtown Borough Police Chief (Retired 2015), Downingtown Department Chief and most recently, as an EMS Chairman of Minquas Fire Company No. 2, Station # 46. He also served as the President of the Chester County Police Chief's Association, was a two-time Downingtown Fire Chief and Rotary Club member and a member of the Chester County Fraternal Order of Police, Lodge # 11. Jim enjoyed riding motorcycles and was a member of the Blue Knights International Law Enforcement Motorcycle Club. He was also a member of the St. Andrew’s Society of Philadelphia. He held a private pilot’s license and was a reluctant soccer fan; although he thoroughly enjoyed watching his son play. In addition to his wife, Carol, Jim is also survived by his son, Andrew Raymond McGowan. Jim’s family will be receiving relatives and friends on Saturday, January 26th from 9 to 10:30 am (Those arriving after 10:30 AM will be asked to sign guest register and be seated) at the Auditorium of the Downingtown West Senior High School, 445 Manor Ave., Downingtown, where his memorial service will take place at 11 am. Due to other school activities PLEASE PARK IN ST. JOSEPH’S CHURCH PARKING LOT. In lieu of flowers, please do something nice for a friend, a stranger or our community or consider giving to the Crimes Victims Center of Chester County, 135 W. Market St., West Chester, PA 19382.